With the coming of the New Year, many people set their resolutions to diet and exercise. I’ve heard a lot of criticism about this practice. What I’ve come to believe is that the word resolution has come to mean a complete change with no going back. Before we throw the baby out with the bathwater, it seems to me that we should take a look at how truly positive it is to stop, reflect, and reassess our path and goals to make sure we are still moving toward our purpose and vision. New Years may be one of my favorite times of year because I have developed a practice of mapping out my goals for the year. I have found this to be a great way to stay focused as well as a way to look back on my progress. I also pondered why diet and exercise is always in people’s top resolutions year after year. I believe they are responding to what their bodies are asking for naturally. A time of cleansing out the old, unhealthy excess. They are desiring a new start. Even a fresh start. In fact, I would assert that we should do shorter spurts of these healthful activities until we are strong enough to make them life habits and patterns. Let’s not become discouraged that the healthy eating routine does not last for more than a couple of days. Believe me, your body thanks you for whatever health and wellbeing you are providing it with. Focus on that. Not on failing at your intention. I believe those short spurts (maybe the best some people can give) are healing and act as a reset. Listening to those messages is healing. Your body is begging you. Don’t get discouraged-do take courage. I believe your being is happening at many levels. You are a complex presence. Some say the human is like a machine, but that is an incomplete metaphor that although has interesting similarities, has shifted into an inaccurate paradigm on a societal level. I believe it is more like a echo-system. It has many living, intelligent facets working together affecting and relying each other. In fact, on an energetic level that system is interacting with the environment outside its body as well. Optimal system functioning encourages overall health and wellbeing. 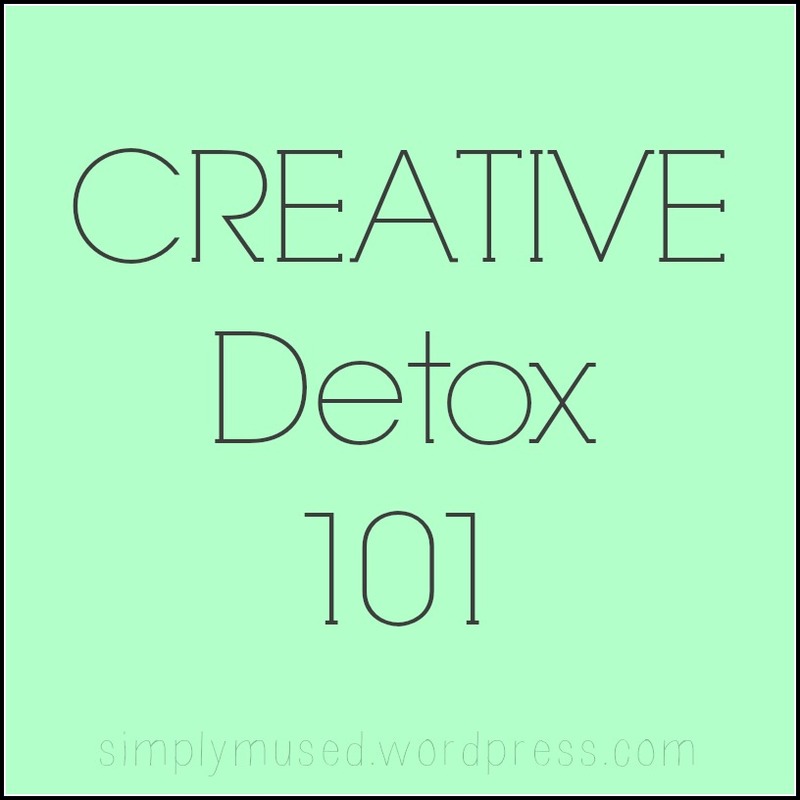 Lately, we’ve been hearing the concept of detox or cleansing. What are the benefits of a detox? What are the benefits of a cleanse? Consider taking a bath. How do you feel once you have cleared away the old cells, dirt and bacteria from your skin. Consider how you feel when you have cleaned your environment. How do you feel in a clean space as opposed to one full of clutter and grime? Perhaps it is removing what is really not yours and/or no longer useful. Perhaps it is being able to discern what makes up you. Maybe that is why coming away “clean” feels so wonderful. So, how would you like to feel clean and new on many levels? I created this 10 day creative detox for those specifically working on being more creative and connected with their personal creativity more fully. Many times, we practice creativity from a position of matching others styles-imitation. We learn by adopting from others techniques. We may not have sight of what is now ours. Even seasoned writers and artists feel confused at what is uniquely theirs. Albert Einstein said, “Creativity is learning to hide your sources.” Although, I revere his creative genius, I wonder if this quote is somehow taken out of context. We are each unique even though we are in many ways similar. Each of us has a unique voice and creative contribution that only we can offer. This can be a challenge because we are all energetically connected with the earth, each other, and the heavens. Sometimes we are in hiding. We are afraid if people knew the true us we wouldn’t be accepted any longer. Perhaps we feel we’d lose our place in our family and even society. Other times, we just aren’t aware of what makes us uniquely us. This ten day work can help you become more aware of where those outside connections end and where you begin. For the next 10 days I will be posting a detox focus and activity. Please let me know if you are following along and/or participating. I would love to hear your reflections and experiences. Wear something brown today. If you are in good health, start this day fasting from food. Wait until dinner to have your first meal. Drink plenty of fresh water. Go outside, breath in fresh air. Pick up rocks, seeds, moss, or something in nature. Place your feet upon the ground and imagine roots growing into the earth. How deep do they grow? Do you feel tingling or some other sensation in your feet? Bring a token/tokens home with you and place them in a sacred place. For your first meal, eat a meal free of meat and/or meat products. Make sure to plan your meal before so that this can be a special breaking of your fast. 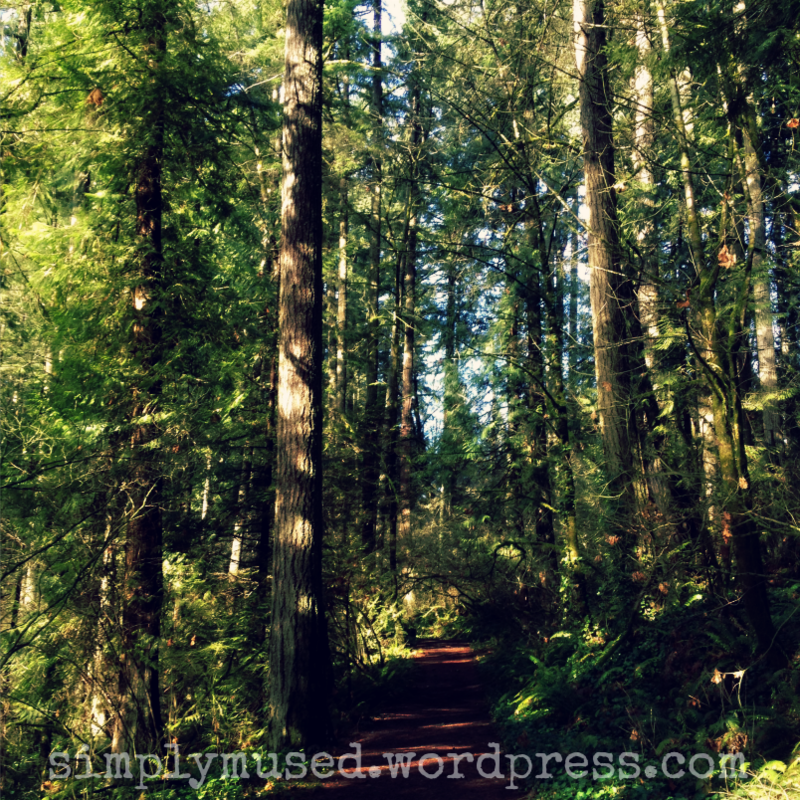 This entry was posted in Creative Detox 101 and tagged Cleanse, Color, creative, creativity, Detox, Energetics, energy, goals, nature, New Years Resolutions, Path, Purpose, Reset, Vision. Bookmark the permalink. Great! I hope you will tell me how things go!